Film in which Australian musical sleuth Martin Jarvis seeks to prove that JS Bach's Cello Suites were composed not by Bach, but by his much-loved second wife, Anna Magdalena. Johann Sebastian Bach's majestic Cello Suites are among the world's best-loved pieces of music - but did another Bach write them? Australian musical sleuth Martin Jarvis explosively claims the suites were composed not by Bach, but by his much-loved second wife, Anna Magdalena. Jarvis's controversial quest for clues takes him from London to Paris to Berlin and beyond. Using advanced techniques of forensic document examination and drawing on his vast experience as a conductor and musician, he sets out to uncover the truth of the Cello Suites and rewrite some musical wrongs. Narrated by composer Sally Beamish. Listen to female composers speaking in these exclusive archive recordings. 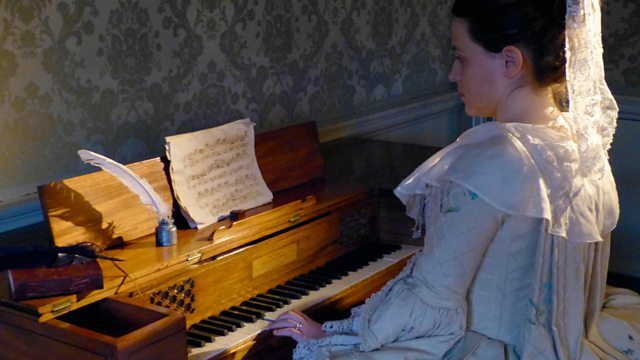 Find out more about female composers with a range of programmes, clips and profiles. Did a woman compose some of Bach's pieces? Can you work out if music was composed by a man or a woman? Test your ears and see if you can tell whether music was composed by a man or a woman. Radio 3 has compiled a selection of works by seminal female composers.